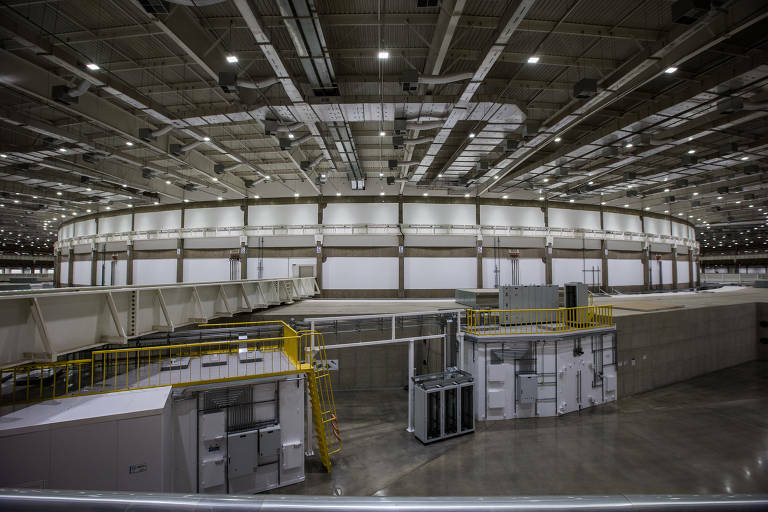 The most expensive and sophisticated machine in the history of Brazilian science started to turn on its turbines. Electron beams are already circulating through parts of Sirius, the particle accelerator in construction at the National Center for Research of Energy and Materials (Cnpem), in Campinas (SP). The project already cost US$ 350 million (R$ 1.3 billion) of a projected total of US$ 480 million, and when ready, it will put Brazil in the forefront of studies that rely on particle accelerators, like the ones that views in need extreme high resolutions of viruses and proteins (to search for new vaccines, for example), soil (to improve fertilizers), rocks and other geological materials (to improve oil and gas drilling), among others. On Wednesday (14th) a ceremony in Campinas marked the opening of two of its three accelerators and of the 732,000 square meter building, an area equivalent of a soccer stadium. The building will house Sirius infrastructure. The next phase is delicate: the creation of a vacuum inside the tunnels where the electrons travel. Only then the third accelerator can be operated. All Sirius' parts need to be turned on and calibrated one by one. It will be only then that the first experimental station that uses radiation from the accelerator will start to operate. The station will conduct experiments in several fields and the first research activity should start after mid-2019. The final project, with 12 more stations - the full capacity is 40 - should be ready only in 2021 and still needs an additional US$ 134 million (R$ 500 million) in funding.